Tell us about a fantastic experience you’ve had that you did not plan. Subscribe on Apple Podcasts or Google Podcasts and please leave a rating and review. 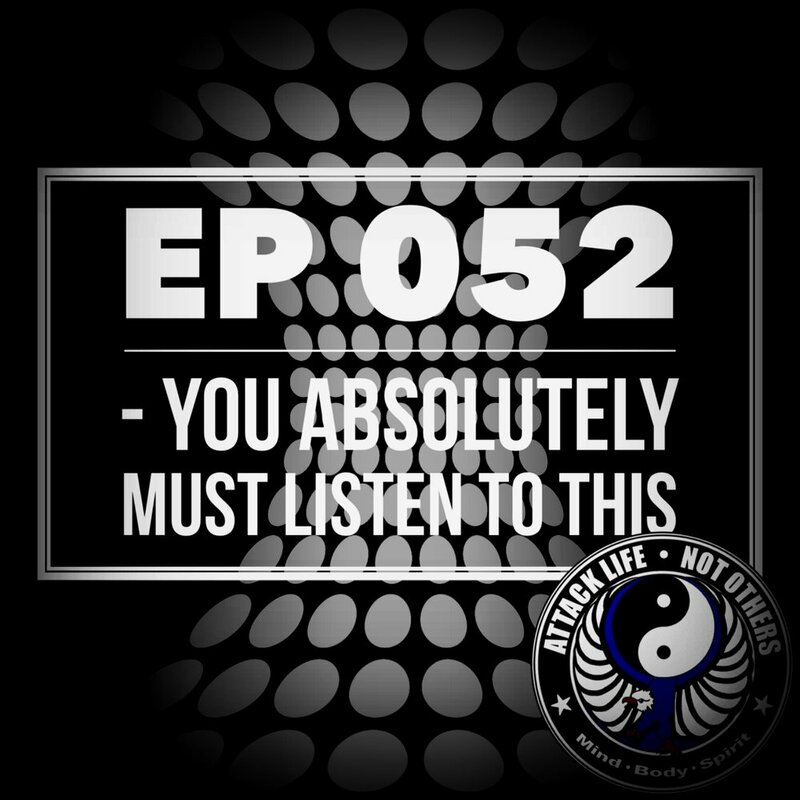 In Episode 051 we talked about healing from injuries and dealing with pain. Tricia Butynskyi, MPT, DPT from Good Shepherd in Macungie, Pennsylvania is back again — this time to talk about the integration of the martial arts and Western medicine. We talk about the proper way to breathe, why our breath is so important, and more. Do you ever take time to purposely concentrate on your breath? Have you noticed how good it makes you feel both mentally and physically? Let us know what you’ve experienced. We’ve talked before about the importance of maintaining a high quality of life. We’ve also discussed how even though martial arts are rough and physical, training should not decrease your longevity. If it does, that would be counterproductive. Because, after all, martial arts are ultimately about the preservation of life — and with that comes life quality. Sensei Hoover talks about how he treats days that he trains a little differently. This includes drinking more water, eating greater nutrient-rich food, and getting good sleep the night before. Ideally, we’d be better off if we could treat every day like a training day. Realizing that’s not possible, we should strive for at least a few days like this per week. Do you do anything different certain days to prepare for something? Tell us in the comments! In Episode 047 we talked about eliminating the word “almost” in order to become better, stronger people and have greater relationships. On this episode we talk about the opposite. It’s good to be aware of absolutes in life. With absolutes, we feel secure, safe, and strong. They are black and white, there are no gray areas. Absolutes are foundations we can lean on — pillars upon which we can build our lives. They provide a framework for everything else. Realize what you absolutely feel and know to be true. These absolutes will be your priorities. Your priorities will be valuable to you. Because they are valuable, you need to maintain them so they don’t lose that value. In turn, these absolutes in your life will guide you in the right direction and serve you well. What absolutes do you know to be true? How many do you have? Tell us in the comments! Pain can be felt emotionally, mentally, physically, and spiritually. Last week we talked about how we all deal with adversity, and how no one gets by without dealing with some type of pain and hardship. Today we're talking about pain as it pertains to physical injuries, surgery, or overuse. Our guest on this episode is Tricia Butynskyi, MPT, DPT from Good Shepherd. She is the Site Manager at their Outpatient Physical Therapy location in Macungie, Pennsylvania. She has successfully treated a wide variety of neck, back, hip, knee, and shoulder injuries, as well as arthritis, neurological disorders, and work-related and sports-related conditions. Tricia has a bachelor’s degree in general science, a master’s degree in physical therapy, a doctorate in physical therapy, and she is a 4th degree black belt training under Sensei Hoover. We talk about all these things — and more! Is there an injury or physical pain you’re dealing with that you have questions about? Let us know. We’ll have Tricia talk about it and answer you in a future episode! Tell us what hardship you are dealing with/dealt with that has made you stronger. Subscribe to our show on Apple Podcasts or Google Podcasts so you never miss an episode! The sparring partner mentality is an example of how consistency dictates results. We talked before about how powerful consistency is — good or bad. When a boxer consistently "holds back" in the gym (because that might be his job as a sparring partner), they tend to not be able to push into high gear in an actual fight. Although at that point it’s not necessary to hold back — that limiting mindset kicks in — as a result of constant repetition. Was there something you took ownership of and possibly improved it by making it your own? Let us know in the comments. If you happen to have a question for the Hall of Fame Heavyweight Champion let us know. We’ll pass your question on to Larry Holmes and give you his answer in an upcoming episode! Subscribe on Apple Podcasts or Google Podcasts and please leave a rating and review! The martial arts are a way of life. But what exactly does that mean? Our podcast — Attack Life, Not Others — is a show intended to help you become a better, stronger version of yourself. Have a question or topic you’d like us to cover in an upcoming podcast episode? Interested in being a guest on our show? Want sponsorship info for Attack Life, Not Others? Thank you! We’ll be in touch with you soon. Sensei Tim Hoover and Sensei Steve Mittman use principles from the martial arts as the foundation for discussion, but in a way so that these concepts can be appreciated by anyone, even if you’re not a martial artist. They can be applied to everyday life — in order to live a better life. The essence of this podcast is realizing we all have an enemy that needs to be defeated. It’s within us. Attack Life, Not Others!